The proverbial phrase “when life gives you lemons, make lemonade” is usually used to stir up a positive can-do attitude in the face of a difficult or an unpleasant situation. But most times, we are just either too broken or too angry to make something good out of an ugly situation that we simply let it drown us even to our own disadvantage. This is the story of the early life of the Cuban-American stand-up comedian, actor, and podcast host, Joey Diaz, who became an orphan as a young boy and as a result of the pain of losing his parents, decided to live a reckless life, taking drugs and engaging in fights and all sorts of criminal activities. However, his life took a positive turn after he spent some time in prison for kidnapping and aggravated robbery as his stay there made him discover his talent in comedy. Born as José Antonio “CoCo” Díaz on the 19th of February 1963, in Havana, Cuba, the stand-up comedian is the only child of his parents. He was raised in the Catholic faith and his family relocated from Cuba to North Bergen, New Jersey, in the 1970s. Meanwhile, before this time, his father had already died when he was just a three-year-old toddler. Joey Diaz studied at McKinley Elementary School before moving on to North Bergen High School from where he graduated in 1982. While in high school, the bundle of talent received many awards for performing arts. At the age of 16, he was hit by the sudden death of his mother whom he found dead on the floor of their home. After this event, his life went downhill as he got involved in a number of vices including the intake of drugs, fighting, robbery, kidnapping, etc. This behavior made it impossible for him to live with one family so he moved from one home to another, living with a total of four different families around North Bergen as a teenager. Joey moved to Colorado in 1982 but his feeling of nostalgia brought him back home to New Jersey in 1984, originally to celebrate his birthday, but he ended up spending one year and six months there. Within this period, his cocaine abuse became worse. Speaking of that come-back later on, Joey Diaz described it as the worst eighteen months of his life as well as his life’s biggest mistake. The entertainer eventually moved back to Colorado and enrolled in the University of Colorado at Boulder to study economics but he found it not to be interesting so he dropped out. In a bid to make ends meet, he took a job as a roof seller and just when it seemed like his life was beginning to fall in place, he got involved in kidnapping and aggravated robbery, landing himself in prison in 1988. During his 14-month stay in jail, he discovered his talent for comedy and started performing for his fellow inmates. However, he never gave stand-up comedy a shot until three years later when he had his first performance at the Comedy Works in Denver at a show which had Matt Woods as its star performer. Although he started out as a stand-up comedian, Joey Diaz has since branched out into acting and podcast hosting. He has featured in films and TV series such as BASEketball (1998), Spider-Man 2 (2004), Taxi (2004), The Longest Yard (2005), Grudge Match (2013) My Name Is Earl and The Longest Yard among others. Since 2012, Diaz has been hosting the podcast, The Church of What’s Happening Now. Despite his ugly beginning, Joey Diaz was able to turn the course of his life around, becoming successful in the entertainment industry and earning an estimated net worth of $500,000. 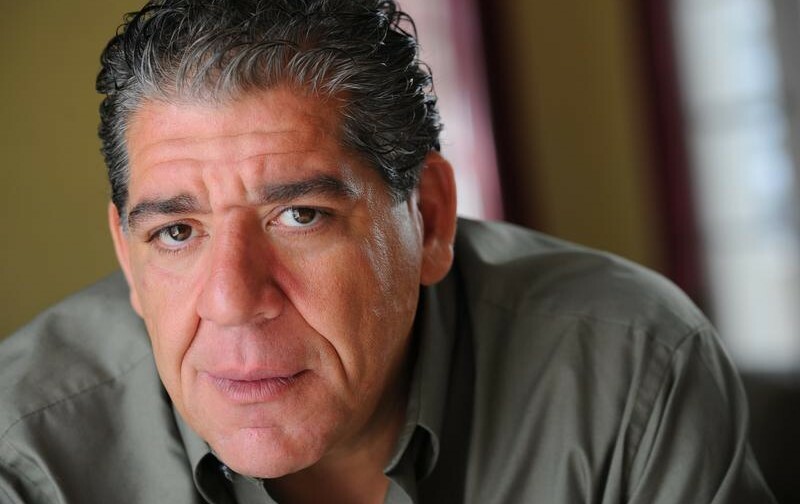 Although the name of Joey Diaz’s mother is not known, the fact that she greatly influenced his life while she was alive is common knowledge. She ran a bar and a successful illegal lottery known as numbers game in North Bergen, New Jersey. Sadly, she did not live to see her son become the man he is today as she passed on when he was only 16. Diaz is married to a lady from Nashville, Tennessee, named Terrie Clark. They got married on November 25, 2009, and welcomed their first child, Mercy, in 2013. This was the comedian’s second time getting married. 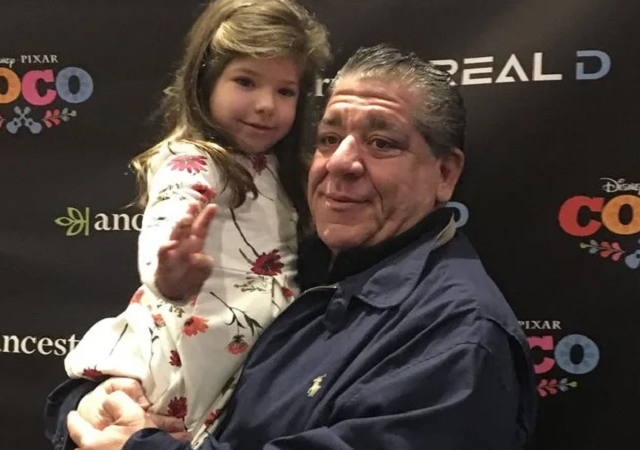 His first marriage to a lady whose name is not known ended in 1991 and as a result of the divorce, Joey Diaz’s relationship with his daughter from the marriage, was severed. It was actually this occurrence that motivated him to pursue a career in stand-up comedy in 1991 so that he could return and make his little girl proud. The comedian stands at 5 feet 10 inches (1.78 m). Though he has a large body size, Joey managed to shed some weight in 2009 after his appearance in the movie The dog who saved Christmas. Before then, he weighed 390 lbs but later that same year, he was seen with a completely transformed body, weighing 295 lbs.